To all fun run, marathon and sports aficionados, I'm happy to share to all of you that the most awaited marathon of the year is set to happen this coming Sunday, March 20, at Nuvali, Sta. Rosa, Laguna. Stretch those muscles and get ready for The Bull Runner Dream Marathon! Now on it's second year, for those who don't have any idea what The Bull Runner Dream Marathon is all about, here's a quick info that I'm glad to share to all of you. The Bull Runner (TBR) Dream Marathon is now an annual activity prepared by The Bull Runner and Ayala Land Inc. for running aficionados and enthusiast. It's main goal is to invite every individual to take a step forward and join their fellow first- and second-time marathoners to fulfill their greatest marathon dream. TBR Dream Marathon is is a non-competing race, so I'm sure that first- and second-time marathoners (like me) will not get intimidated by other pros out there. Hehehe. 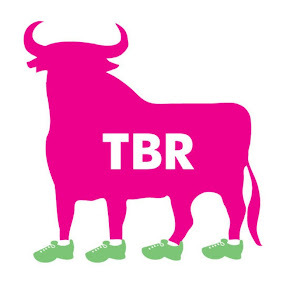 This marathon, TBR Dream Marathon, is not like the other running event that you can join to, because with TBR Dream Marathon, they provide a 5-month training and guidance to their runners leading up to the race. They have a Training Program that upon registration, runners get a 20-week training developed by Coach Jim Lafferty; Bull Sessions, which is a monthly run clinics for 5 months supervised by the Pinoy Ultra Runners, the Bull Circle that is a monthly running talks for 5 months covering topics such as marathoning, training, nutrition, gear, hydration and etcetera with leading experts in the field, the Dream Chasers, where an experienced volunteer runners will motivate and support runners along the route and lastly, the Family Activities, where they encourage runners to make this a family affair. These family activities such as fish feeding, boat riding, biking, banner/flag making will be provided by the TBR team, and will take part here at the largest mixed use sustainable growth center, Nuvali. According to our friends from The Bull Runner and Ayala Land Inc., this marathon is open for the first 400 first- and second-time marathoners who are brave enough to take a 42-kilometer run. Are you gonna run, Alex?